On January 22, Capcom unveiled an American iteration of the previously announced Street Fighter League, a 3v3 team circuit for Street Fighter V that adds a new take on the game’s traditional 1v1 format. While the company revealed a Japanese version of the circuit in September of 2018, this latest news uncovered some interesting details to potential competitors; more specifically, the introduction of a character ban clause. This character ban feature allows both teams to ban a single character throughout the entirety of each match. Additionally, each team member must choose a different character from others on their team, squashing any ideas of single-character squads (à la pre-Cooperation Cup festivities). While Capcom’s blog post on the subject explained these rules as a means for teams to “strategize the matchups in and out of game by working more closely as a team,” much of the game’s fanbase was unhappy with the decision. Many players decried the feature, with fears that it could render character specialists null in the face of a potential ban on their main fighter. Critics likewise speculated that such bans could make for a boring set, should two opposing fighters choose to ban the other’s main character. In any case, the feature forces participating players to rely on their pocket characters in the event of a ban – or, perhaps, cause them to pick up a tertiary character for good measure. Amongst the slew, critical comments arose a few positive takes on the situation, with the likes of legendary Street Fighter pro Justin Wong weighing in on the subject with an optimistic viewpoint. 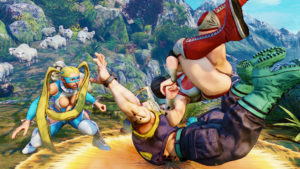 Rather than speculating on the potential pitfalls of such a feature, Wong guessed that Capcom is aiming for something fresh for the 2019 season, in light of America’s largely tournament-centric fighting game culture. Japan FGC events does things differently every time while NA is just tournaments. We do need something different and I’m sure this is a test to see how it works out. Wong went on to state that the ban forces players to strategise for possible matchups, while other players claimed that it could make matches more interesting – or even that the 3v3 league could be a “just for fun” sort of competition. The induction of Capcom’s Street Fighter League follows the implementation of SFV’s Team Battle Mode, a system that allows for customisable team competition for both fun and serious play. While it is highly likely that Capcom is intending to showcase the system through the new League, it could be hoping to amp up its esports initiative, following its “Esports Year One” plan of 2018. Either way, the introduction of character bans marks an interesting change seen in players’ rookie days as children in the arcades or playing against friends at home, frustratedly calling for a ban to a character that they just can’t beat. 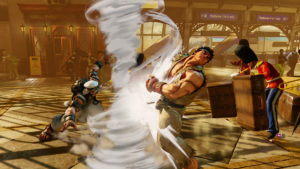 However, as Justin Wong mentioned, the ban system forces players to strategise and rely on their pocket characters – making for an interesting turn of events that could very well have fans on the edges of their seats. Season One of the Street Fighter League kicks off in April 2019, with players throwing down in tournaments every Thursday through May. Season Two begins with a draft in August, following the League finals in July, and runs throughout November to conclude in the crowning of the very first North American Pro League Champion. The Street Fighter League promises to be an extensive circuit that will provide regular, high-level competition year-round, in an entertaining, offbeat format. Despite fans’ misgivings, the League is shaping up to be a brand-new take on Street Fighter’s largely homogenised tournaments, which could bring a breath of fresh air to the fighting game community, at large. Team tournaments have always been a staple in the FGC, providing greater teamwork and community involvement – isn’t it time to make them part of an official circuit, too?